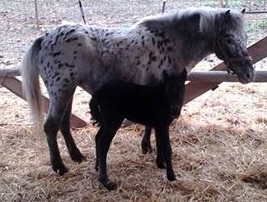 This is Happy with her 2015 solid black appaloosa filly "Loki". 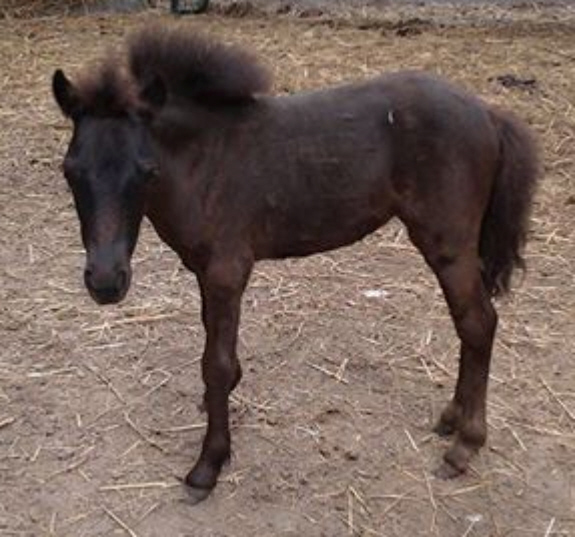 Loki is now a yearling and and has been SOLD. You see anything you like? Just inquire if it is for sale! The only ones currently NOT for sale is our Appaloosa stallion, our mare Pumpkin & our mare Nutmeg. All others are for sale. Our prices are VERY reasonable. 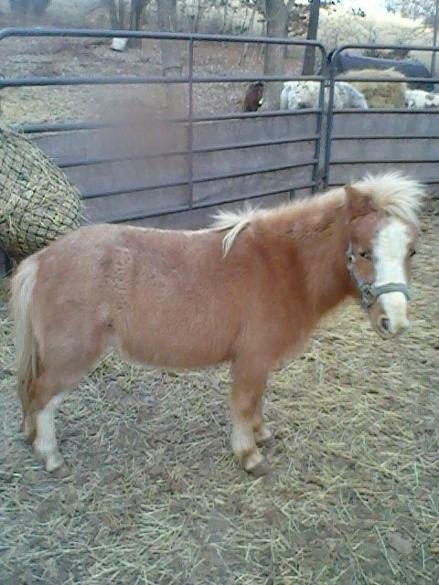 All our mini's are very loving, tame and easy to train. They can be used for show, carts and/or for riding. I am even interested in trading - perhaps a pinto for an Appaloosa? 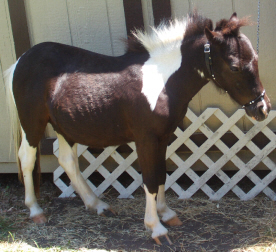 The black/white tobiano is our first breeding stallion "Onyx". He is a sweetheart - but definitely knows the breeding aspect. He is 33". He has been SOLD. 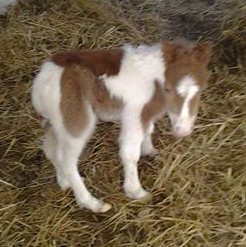 This is Misty and her first baby born here - a little sorrel colt of 2013. This is Misty she is our 33" broodmare. She will foal soon and she will then be put up for sale when the foal is weaned. This is her 2015 Pintaloosa colt born in March. His name is MM's Scooter and he is SOLD. 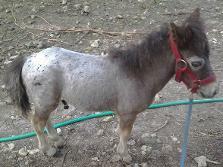 The above Appaloosa mini is our stud. His name is Scout and we are using him to breed a couple of our spotted mares for Pintaloosa babies for 2015 :) He is 35" tall and a very friendly little guy - but also a good escape artist! Looked hard to find this little guy! Previous owner said he has always thrown color. So we hope to see 3 nice pintaloosa's come spring of 2015! This is Pumpkin & she recently had her first foal - a filly that was 17" at birth. She is a 6 yr old Pintaloosa. Her name is Pumpkin's Concho Honey. She is a Sabino w/Frost Blanket & spots along her backbone. She is registered ISHR & WCMHR.